Wheels Of Impermanence is the band's Prosthetic Records debut that was released late last month. 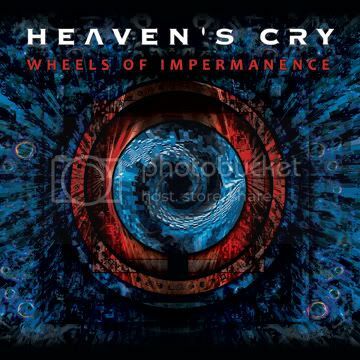 Wheels Of Impermanence is the third studio album from Heaven's Cry - who were originally formed in the early '90s - and will mark the first new music since the band took a seven-year hiatus in 2004. Their previous album, Primal Power Addiction, was released in 2002 by Dutch label DVS Records. 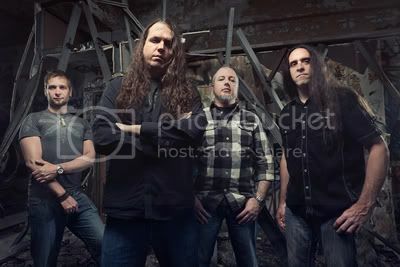 The band consists of Pierre St-Jean on vocals/guitar, Sylvain Auclair on vocals/bass, Eric Jarrin (ex-DESPISED ICON) on guitars, and René Lacharité on drums. More on Heaven's Cry at this location.